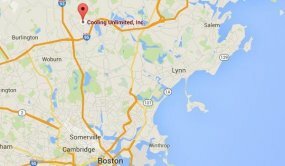 Indoor Air Quality Services in Boston, MA | Cooling Unlimited, Inc.
We live in Boston, MA, where summers are hot and muggy and winters are as cold as they come. Residents rightly focus on heating and air conditioning systems to keep their homes comfortable during any temperature extreme. But temperature isn’t the only factor involved in household comfort levels. Humidity levels soar during our humid summers, making the air feel hotter than it is and creating that gross, clammy feeling that nobody enjoys. In the winter, it’s just the opposite, with the cold weather pulling moisture out of the air and leading to dry cracked skin and static electricity. Dust and other contaminants are constant threats, leading to household illnesses as well as decreasing your indoor air quality. The solution is a high-quality indoor air product such as a humidifier, dehumidifier or air purifier. They’ll leave your home feeling cleaner and fresher, as well as improving the overall health of family members. We service homes throughout the Boston, MA area, and provide repair and maintenance services as well as installation. If your home could benefit from improved indoor air quality, call us today! Contact Cooling Unlimited, Inc. for improved indoor air quality services in Boston MA. Humidity levels – both high and low – play a huge role in our comfort levels, but not everyone understands exactly how. Humidity is usually measured in relative humidity levels: a percentage ranging between 0% (no moisture in the air at all) and 100% (moisture saturation, or rain). Generally speaking, human beings need the relative humidity levels to stand between 30% and 50% if we’re going to be comfortable. When it gets moister, our sweat won’t evaporate, which keeps our bodies feeling hotter than they should, leading to that clammy feeling. When it gets lower, moisture is pulled off of our skin, leading to cracked, itchy feelings. Both situations can result in increased illness as well as a less comfortable home. Whether you need a dehumidifier to cut down on the summer heat or a whole–house purifier to keep your newborn child healthy Cooling Unlimited, Inc. has the skills and experience to do the job. We can install, maintain and repair all manner of indoor air quality products throughout the Boston, MA area, and our NATE–certified technicians are trained in a wide variety of products. Don’t trust just any company with the health and well being of your family. Leave the job to us and see what a difference a professional touch can make! Dust, pollen, and other contaminants are realities in any Boston, MA home, but you don’t have to live with them if you don’t want to. This is especially important for households with newborn children, elderly residents, and people suffering from asthma, who may be more vulnerable to contaminants in the air. The solution is a formal air filtration system, which uses anything from filters to UV lights to ionization fields to remove excess dust and dirt from your home. Not only will your house feel heathier, but you may find cleaning to be less taxing as well. And your heating and air conditioning systems will function more reliably without errant dust coating their components and creating friction. Electronic air purifiers are a strong option for households with vulnerable family members. The ionization chamber in the system charges dust, dirt, and other contaminants, causing them to stick to the walls of the chamber. As the air circulates, it gradually removes the particles from your entire household, and can be easily collected on a regular basis for formal removal. A dehumidifier in your home coalesces the excess moisture in the air into droplets, similar to the formation of dew in the early morning. The droplets are collected in a pan and removed from circulation. Your summer air thus feels crisper and cooler, while taking the strain off of your air conditioning system. Call Cooling Unlimited, Inc. today to learn more about it! Without insulated ducts, your HVAC system is subject to serious energy loss, particularly during the dog days of summer and the coldest days of winter. With our duct insulation services, you can make sure that your heated and cooled air is minimally affected by the temperature surrounding them. Faulty air ducts can lead to all sorts of trouble with the efficiency and performance of your heating and cooling systems. Even the smallest holes, cracks or loose connections can lead to serious trouble with the way in which air moves from one place to another in your home. But with our professional duct sealing, your system is in good hands. 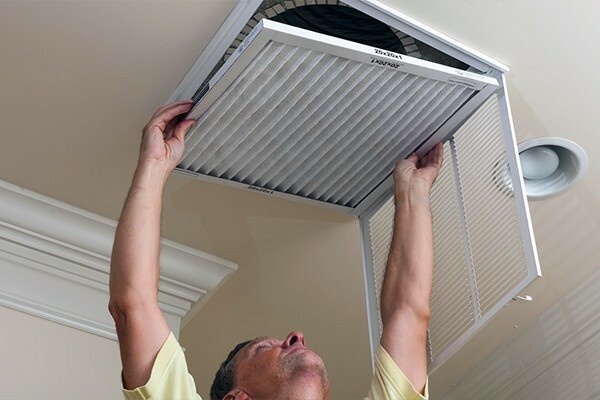 In order to assess the quality of your air ducts, it’s necessary to have them tested occasionally. When we perform this service in your Boston home, you can count on a job well done. We use only the latest technology to pinpoint the exact nature of the problem concerning your air ducts, and we can make sure that your duct testing service is done thoroughly so that you can take action to improve your overall HVAC system performance. An energy recovery ventilator is a type of IAQ upgrade that ventilates stagnant indoor air in the most efficient manner possible. By using the thermal energy of the outgoing stale air to precondition the incoming outdoor air, you can reduce the costs of bringing fresh air inside. Call us today to learn more. In the winter, a humidifying system fights dry air by blowing a fan across a wick that collects water from a reservoir. The moistened air then blows through your Boston, MA home to elevate the relative humidity levels and cut down on the itching, scratching, and static electricity. Even more importantly, the air won’t dry out your sinuses, helping you better fight off infections and colds. A UV air purifier (or germicidal light), uses ultraviolet light to eradicate biological contaminants such as mold, mildew and bacteria. Such substances can be difficult to capture with conventional filtration or purification methods. Let us find a UV air purifier that works well for your home. Call Cooling Unlimited, Inc. today.